Have a Great Grape Weekend !!! Dezel has a few fun-filled local weekend wine events for you to consider this Saturday. After-all, Mother Nature has promised to be kind to us on Saturday with low humidity and an abundance of sun shine. However, given that Dezel heard this news second hand through Mother Nature’s little messengers, the local weather women and men, do like me and keep your fingers crossed! 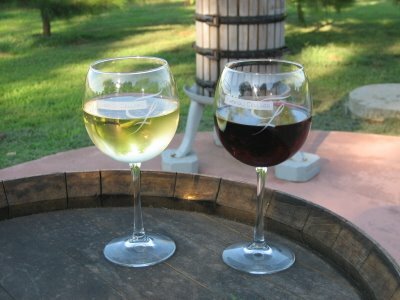 If your looking for something enjoyable to do on Saturday read on and plan a weekend respite to one or more of these “wine-der-ful” events in Virginia Wine Country! This Saturday, July 21st our pal Doug Fabbioli and family will host an Open House at the Farm. Doug says “Bring a dish to share and non alcoholic beverages. Wines will be available for purchase. There will be vineyard tours, food (roasted corn and hot dogs), music, vintage wine tasting and fireworks.” We attended this event last year and had a great grape sort of time; that Doug sure knows how to throw a party. Needless to say, this is where Dezel will be Saturday evening from 5pm until dark! Visit the Fabbioli Cellars web page for details. Price: Bring a dish, buy some wine! 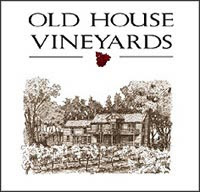 Another fine event taking place on July 21st from 7pm to 11pm is Hillsborough Vineyards most popular and fun-filled event. Which one is it? It is the 4th Annual Caribbean Nights event, which offers live music (Steel drum band), gourmet buffet, and some of the most beautiful views in Loudoun Wine Country. Watch the sunset from atop the hill that overlooks the Blue Ridge and enjoy your visit! Price: $40 per person. Visit their web site for further information. Yet another fine event taking place in Loudoun County is happening at Breaux Vineyards on July 21st. Our Cajun friends at Breaux are transforming the “Cajun Theme” to a “Vineyards in Paradise” theme at their 2nd Annual Key West Festival! Breaux will offer Caribbean cuisine, hayrides, kid’s activities, wine tasting and live Steel Drum Band for entertainment, which will be followed by a Jimmy Buffet cover band. Visit Breaux for a day in paradise! $15 adults/$10.00 kids over 6 & designated drivers. 11am-6pm. Visit their web site for further information. Okay, Loudoun is blowing up with events on July 21st, so here is another fun-filled evening engagement. 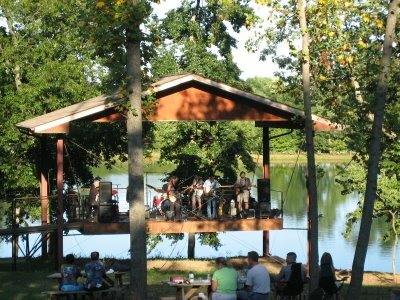 As a matter of fact, Vine Spot visited Tarara to enjoy their “Sounds of Summer” concert series on July 7th and had a delightful time – why I even taught a few people how to do the Merlot Mash – my famous dance! These events are held from 6pm to 9:30pm off of a suspended stage that is back-dropped by beautiful Shadow Lake. I recommend the Pinot Grigio for drier palate preferences and the bargain priced Wild River Red if you like a dusting of sweetness. Pack a picnic and visit Tarara for an enjoyable evening of live music, beautiful views and their fine selection of summertime wines. These concerts are scheduled every Saturday until September 29th, so make a date with Tarara. Tickets: $10 Time: 6pm – 9:30pm Contact: http://www.tarara.com/ or call 703-771-7100. In closing friends, have a great weekend and hope to see you on the wine trail!